Take a blender. Throw in the energy of jiving and jitterbugging from the 50s, some gospel, a touch of heavy percussion, the sharp suits and tinkling pianos of the 20s, a little rap, some high-energy musical theatre, an explosion of colour, spots and stripes, sweet personalities and honest friendships. The result: you’ll be close to the joy that is “Freckleface Strawberry the Musical”. The show sees the story of young Strawberry struggling with the freckles which often get her teased and trying to come to grips with how to be herself. Other characters join her in her struggle and support each other as they take the brave step to be who they really are. Scottish Youth Theatre has done a remarkable job with the show’s Scottish premiere. Some of the cast run through quick costume (and character) changes, but every character is played in a way which is extremely genuine and believable. The whole cast tackle the various stylistic demands of the show seamlessly and choreography is slick and high in energy. The show runs from one number to the next with life and passion. Not only will you leave uplifted, smiling and feeling just that little bit braver in yourself, but you’ll be singing these happy, catchy tunes for days on end. 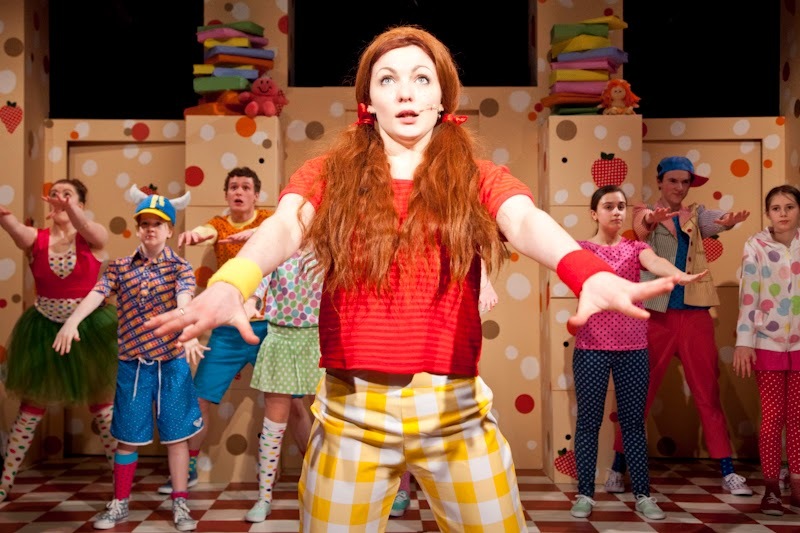 Freckleface Strawberry The Musical runs until 21 April, various times, at Scottish Youth Theatre. Tickets: £12/£8. Available online or by calling 0141 552 4267.